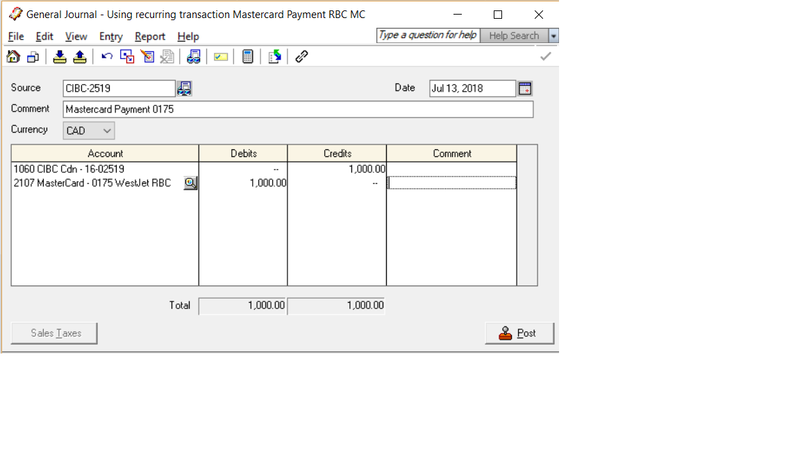 This is a tutorial on credit card ledger. 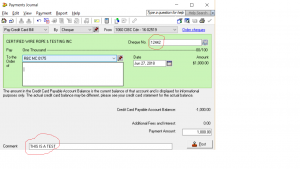 I personally do not use this function because the entry that is make in a credit card ledger will not be viewed, adjusted or reversed. 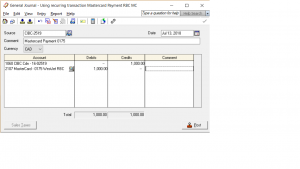 I use General Ledger for making credit card payments. 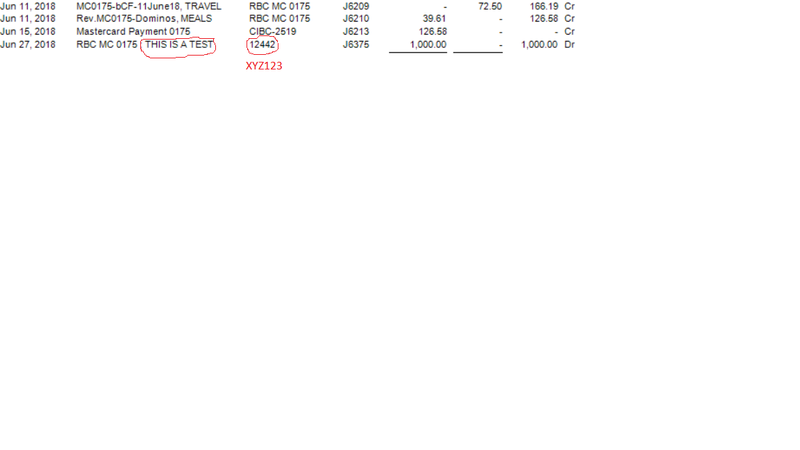 If you still want to make a payment see the next 2 pics. 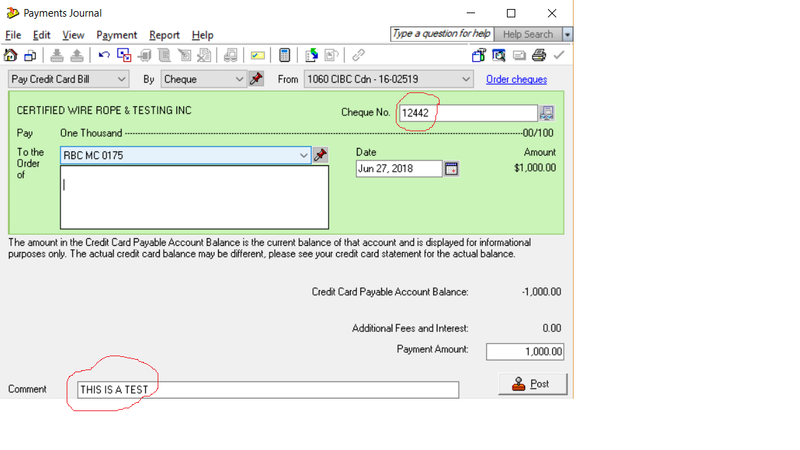 Please note the comment section and the following picture will show how the comment section shows up on the general ledger report. 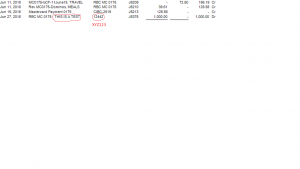 I guess for your purpose of exporting the report into Excel, you can change the chq number 12442 into XYZ123 or XYZ123-12442. this way you will also have the chq number.